Do you want to speed up your printing delivery? Supply finished, proof-read, checked Print-Ready PDF files! We know you don’t like to get the phone call… “we don’t have the fonts, the files don’t work, there are no bleeds… Get this PDF preset and also check our page with guides to making Great Print-Ready PDFs. How to install: This Presets File cannot be “opened” by InDesign®, Illustrator® or Photoshop®. Instead it must be “loaded” to the program. 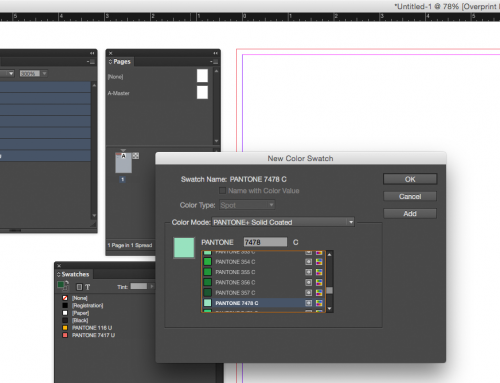 Using InDesign as an example, go to “File” then down to Adobe PDF Presets. On pop-out menu select “Define” and on the next menu select “Load”. Then point to the location of the LVG PDF Presets file that you downloaded and then “Save.” The Presets will now be accessible in your program as a choice for PDF Export. Questions? Just contact us and we’ll be back in touch shortly, or call 724-539-4545.